Last night I capture this image of the Blue Moon. I was very lucky, because I was on my way home and saw it just starting to come up over the corn. I grabbed the telephoto lens and snapped a few shots until I got it right. Later, I shared it on facebook on a news page. Today, they posted it to their page. it has since received 12,000 like and over 1,300 shares!!!! The compliments have been amazing and heartwarming. 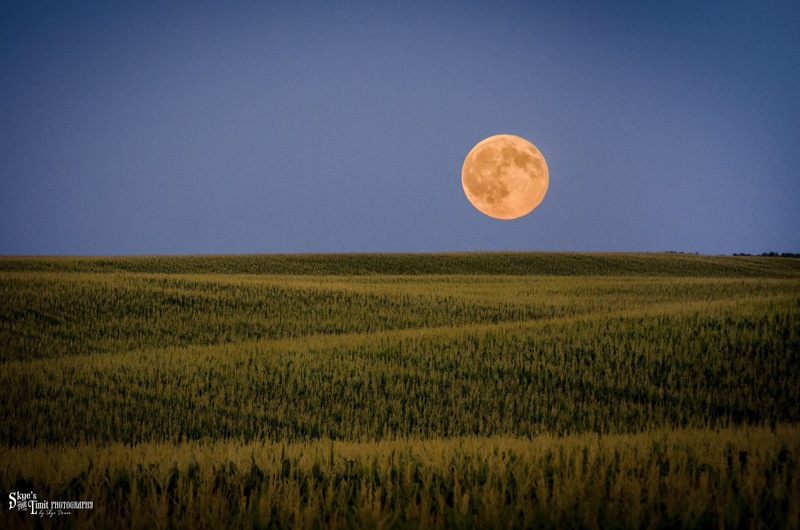 'Blue moon' over a cornfield in Medford, MN. Photo by Skye Devoe. Thanks for sharing!